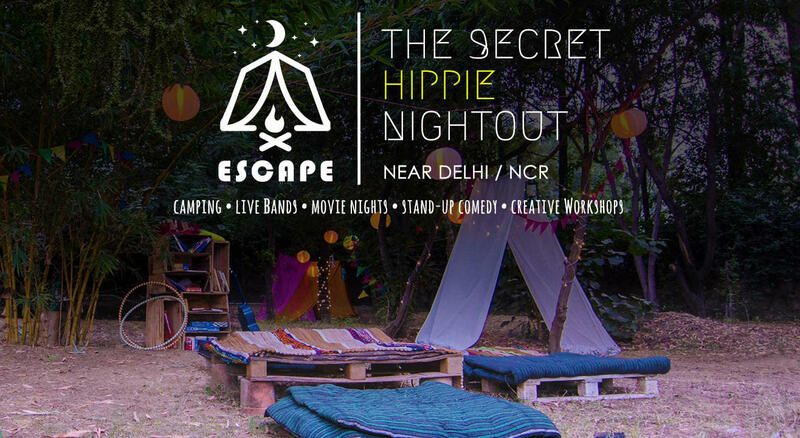 Just off Gurgaon, there’s a secret campsite for the hippie inside you! Just 30 minutes away from the city and with live music, barbeque, camping, and an open-air cinema, it is the perfect getaway for the weekend to get some “me” time! Amidst the serenity of nature, enjoy live performances by Indie artists, watch a movie, meet like-minded people and while you’re there, make some new friends as well! If you’re lazy, there are hammocks which provide you with all the privacy. All in all, it’s the best excuse for you to step out of your house on a weekend! Weather: Since the campsite is located away from the city and amidst lush greenery, the weather is usually 3 – 4 degrees cooler than in the city. Ideal Attire: From October - March, the evening can get a little cold. It is recommended that you carry light woolens and sturdy shoes. Accommodation: Arrangement of cozy dome tents has been provided which can accommodate 2 people in a single tent. Sleeping bags will be provided. Washrooms: There is an availability of clean western style loo at the campsite with all modern amenities. There are also common washrooms for both genders as well as communal showers that have hot water. Please do respect the belongings of others at the campsite and avoid damaging any articles, tents, etc.